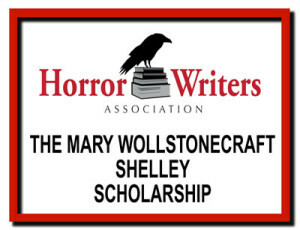 The Mary Wollstonecraft Shelley Scholarship will be open to female writers horror writers. It was first awarded in 2014, and is given annually. The application for each Scholarship will be the same – a sub-Committee of the HWA Board will choose the winners. Each Scholarship is worth $2500, which may be spent on approved writing education over the two years following the granting of the scholarship (see the Rules at www.horror.org/scholarships for more detail). “These are the largest, and possibly the only, Scholarships offered in the horror genre. HWA hopes to supplement these scholarships with smaller grants as funds allow,” Wood said. Those who are interested in applying should review the General Application Info. 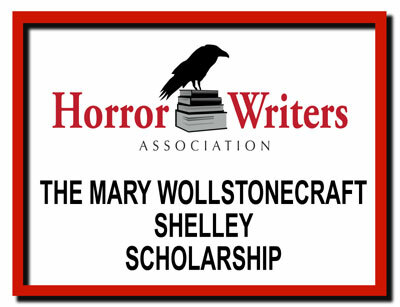 The Mary Wollstonecraft Shelley Scholarship is made by possible by monies received by HWA from the Authors Coalition.